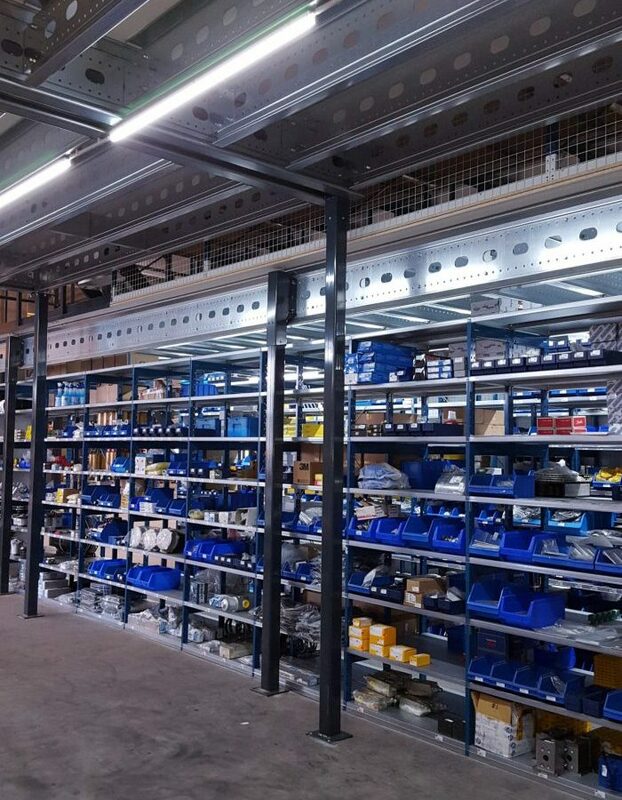 A major market player specializing in foundation and construction equipment such as hydraulic hammers, drilling rigs, dredging pumps and measuring equipment was looking for expansion of its storage capacity in the existing business premises. 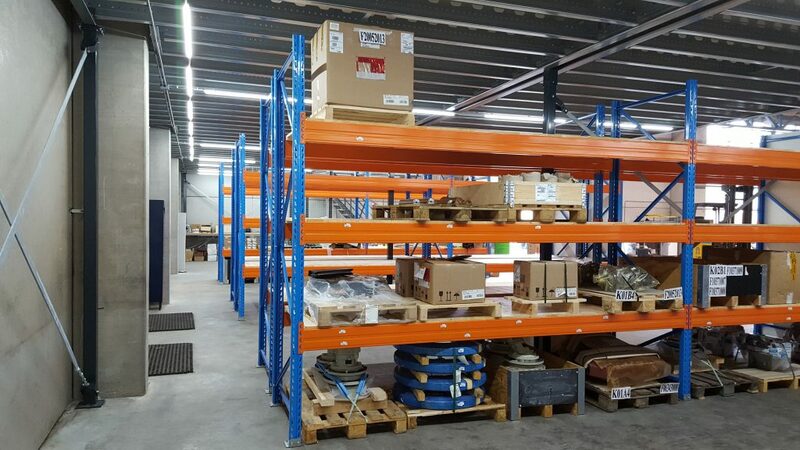 For this customer, part of a global group, Europe Racking was able to share our expertise with the customer and to provide a practical work situation, and almost doubling the available storage capacity. To accommodate their storage units, a mezzanine floor system was used to provide additional floorspace in the building. 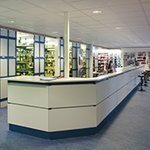 This quick-to-fit mezzanine floor can be placed in almost any existing premises without any excessive measures. 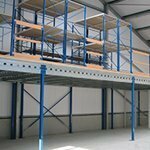 This freestanding mezzanine floor system is built up of main- and sub girders. On this structure of beams, different types of flooring can be added such as steel gratings or 38mm thick chipboard panels. The mezzanine floor system was also provided with a staircase, the necessary handrails and sufficient lighting to ensure safety. Additional mesh panels were used behind the shelves to ensure products can’t fall out the back and for closing off the various spaces. 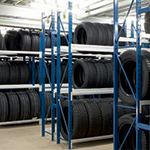 By creating additional floorspace, we also created additional room for extra storage of goods. 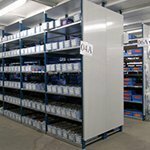 By adding our multisystem shelving, which are useful for small light to semi-heavy objects as well as both our tube-50 longspan shelving and palletshelving which are useful for the larger and heavy products, all the clients storage needs were met. The warehouse was also provided with packing tables with our tube 50 longspan shelving forming it’s base. Our Europe Racking packing tables are also available in different heights, which increases the ergonomic advantage and, consequently also productivity. We would like to thank our client for the excellent cooperation and wish him great success in the future!